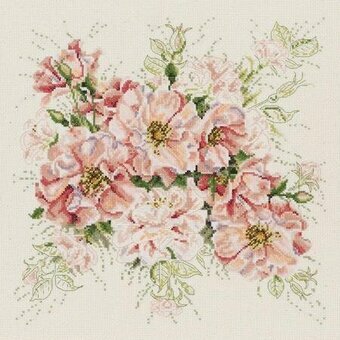 "Mellow hues combine as one beneath the amber setting sun - discontent to be undone hearts together to beat as one - warm in sunset color grows seemingly as heaven chose - quieting life's fleeting woes the beauty of the tuscan rose." 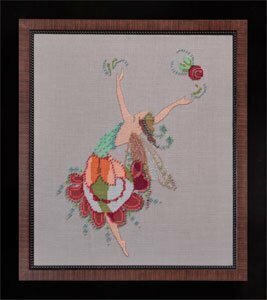 Model stitched on 36 count Hay Fields Linen with Victoria Clayton Hand-Dyed Fibers (1427, 1425, 4407, 4405, 3351, 3349) and DMC alternatives are listed in the box. 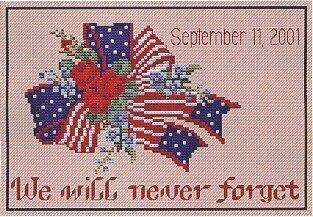 The stitch count is 143W x 317H. 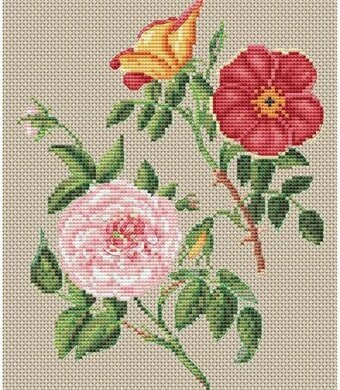 Stitch on fabric of your choice using 3 strands DMC floss. Stitch Count: 161W x 144H. 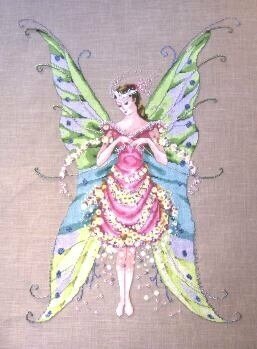 Model stitched on 16ct Old sprice or 32 ct Natural linen over two using DMC floss. Stitch count 136 x 191. 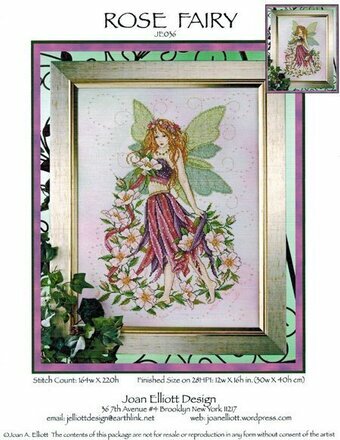 Model stitched on fabric of your choice with Gentle Art Sampler threads (or DMC floss 3726, 3042, 932, 930, 522, 520, 371, 3046). Stitch Count: 280x280. Model stitched over 2 threads on 30 Ct. 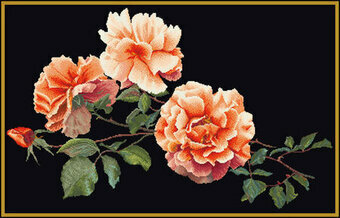 Antique Lambswool linen with Dinky Dyes Silk floss and Needlepoint Inc silk. Stitch Count: 54x54. 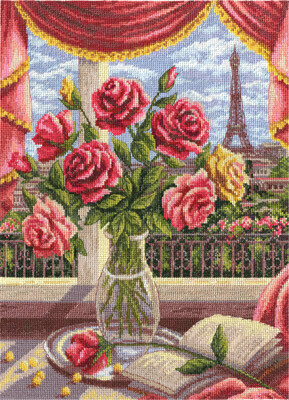 The Eiffel Tower in France seen through an open window with flowers. 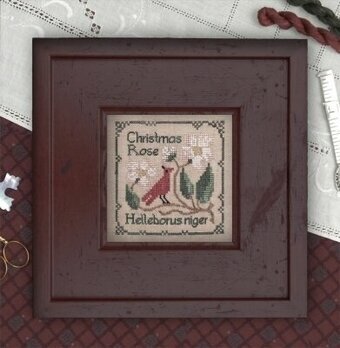 This cross stitch kit contains presorted thread, 16 Count white Aida, needle, color chart, and instructions. Finished size: 9.8" x 13". 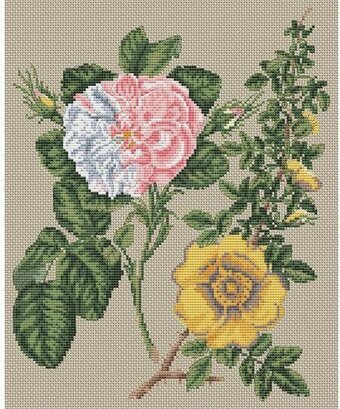 Complete kit includes 27 Ct. cotton evenweave fabric, threads, needles and instructions. 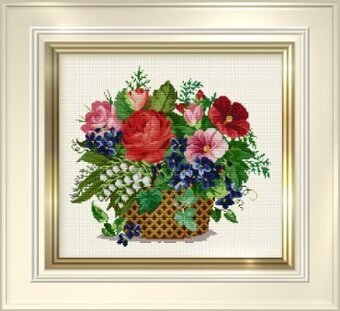 Finished size: 10.8" x 11.2"
Create a beautiful decoration to display in your home or office! 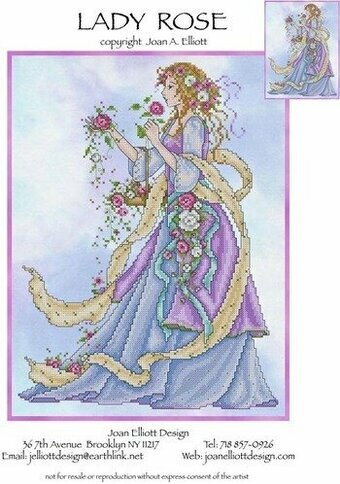 This cross stitch kit contains 14 count Aida fabric, pre-sorted thread, instructions, full color chart and needles. 6.5" x 8". 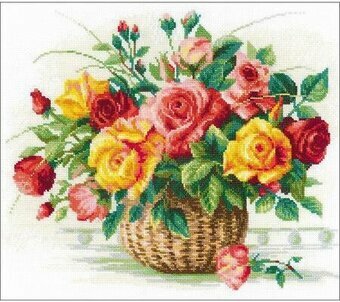 Create a beautiful decoration to display in your home or office! 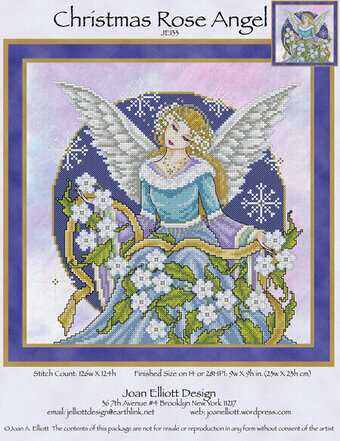 This cross stitch kit contains 14 count Aida fabric, pre-sorted thread, instructions, full color chart and needles. 9" x 11". 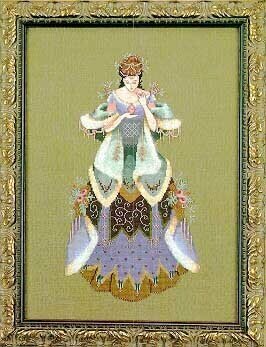 Stitched on 28 count Heritage Lugana fabric from Picture This Plus with DMC floss. The stitch count is 87W x 87H. 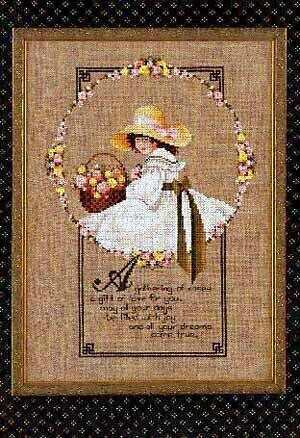 Complete kit includes 18 count Black Aida, threads, needle, and instructions. Finished size is 26" x 17". 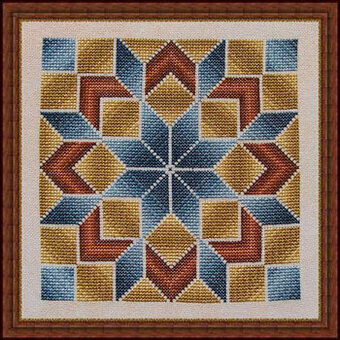 Stitched on 28 count Daybreak hand-dyed Jobelan from Polstitches or fabric of your choice. 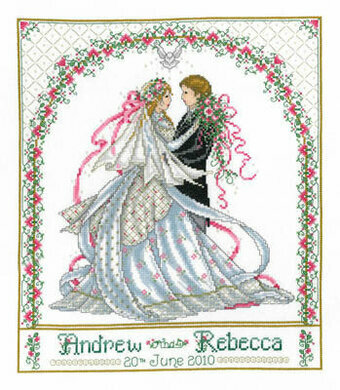 Uses DMC floss and Mill Hill beads. 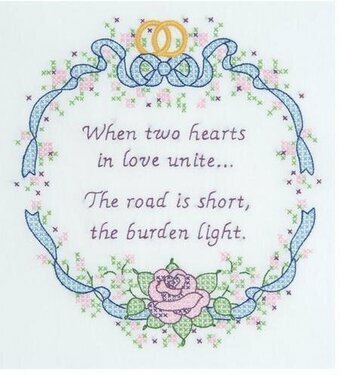 Stitch count: 124W x 164H. 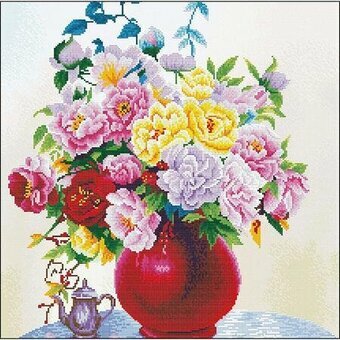 Cross Stitch Kit Includes: 26 Ct. 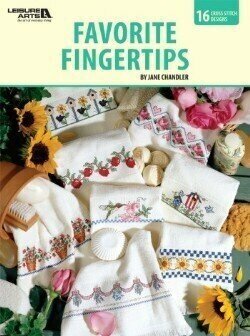 Antique White Linen Fabric, threads, needles and instructions. 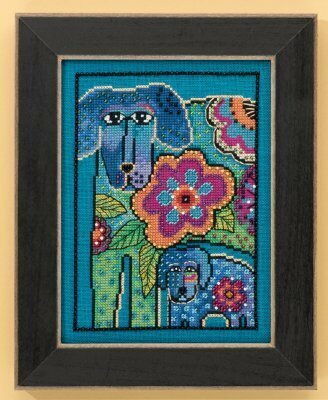 Size: 12" x 15". 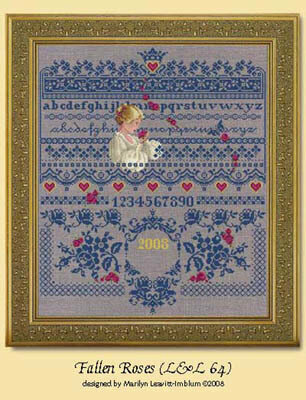 This No Count Cross Stitch Kit contains precise print, color printed 14 count Aida cloth, pre-sorted luxury polyester embroidery threads, embroidery needle, color printed chart and complete multi-lingual stitching instructions. 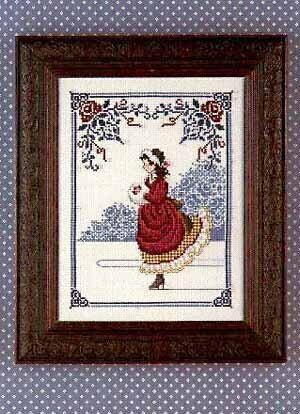 Design size 15.75" x 15.75". 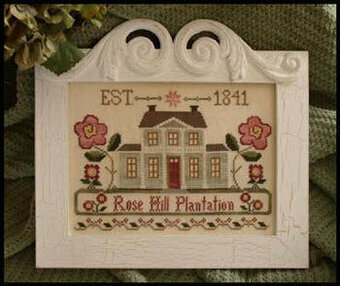 Model stitched on 14 count Black Aida using DMC floss. Stitch count: 160W x 229H. 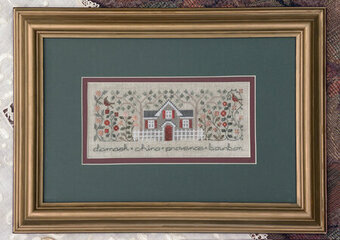 Model stitched on fabric of your choice with Gentle Art Sampler threads (or DMC 3726, 3042, 932, 930, 522, 520, 371, 3046). Stitch Count: 203x203. 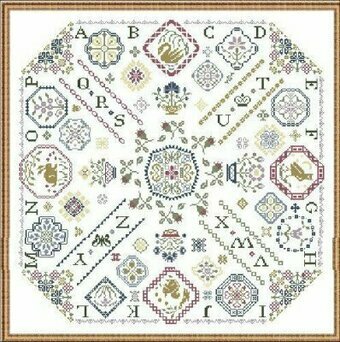 This cross stitch kit contains Aida cloth, pre-sorted DMC floss, John James needle, easy-to-follow chart and instructions in English. 6.75" x 4.75". 18 Count.